If you want to try something different, discover how aerobatics can improve your skills and increase confidence. 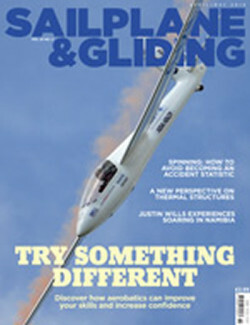 You can also find advice on how to avoid becoming an accident statistic and read a fascinating account by Justin Wills of flying in Namibia – one of the most outstanding soaring areas in the world – in the April/May issue of S&G. As sky-watching steps up a pace, we’ve some valuable advice on keeping safe in the air and avoiding becoming an accident statistic. Andy Holmes explains how better winch driving can help pilots to fly safer winch launch rotations, Mike Fox looks at how regular spinning practice can save lives, and Andy Roch unravels the mysteries of NOTAM. 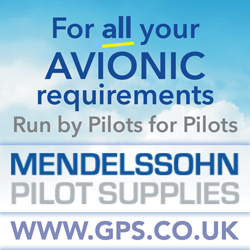 If cross-country is not your thing, or you are just looking for a new challenge, then why not consider aerobatics? 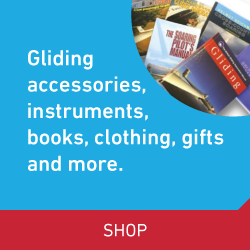 Apart from being exhilarating, competitive aerobatics can improve your flying in a number of ways. Charles Baker dispels the myth that it’s all about display flying, and explains how competitive aerobatics gives a purpose to practice and a standard to aim for. An invitation to fly an EB28 in Namibia was the first step towards an unforgettable experience for Justin Wills. One of the world’s most outstanding soaring areas, Namibia has remained a well-kept gliding secret. Justin discovered that not only is Namibia three times the size of Britain, but the factor also applied to average thermal strength, cloudbase and distance flown. Wherever you soar, much time is spent in search of thermals. Alan Lapworth looks at the technique of using numerical modelling in researching the structure of thermals. It gives an interesting new perspective on thermal structures, but Alan cautions that the numerically-modelled weather forecast is not always right. Also in this issue: We report on the BGA Conference and AGM, which, as BGA Chairman Patrick Naegeli reports, achieved the right balance between imparting information, recognising achievements and simply having fun. BGA Development Officer Alison Randle responds to requests for information on successful fundraising with four examples of how gliding clubs have made the most of local opportunities. Platypus talks to Nick Goodhart, the gliding ace who spent 20 years at the top. The GPS comes under the spotlight as Steve Longland continues his series on how aircraft instruments work. Mike Armstrong reports on the 25th anniversary of the national two-seater competition. Sergio Andrade explains why he and his friends are nuts about Brazil, with the help of some stunning images from Nader Couri. Alec Watt experienced flying in India at Deolali GC, where the launch point is a couple of beach chairs and signals between the launch point and the winch are provided by means of a chap with a flag. Having conducted the firstglider pilot comfort survey, Adrian Emck reports that the survey highlighted problem areas and indicated where research should be directed. Australian speed, distance and height record holder Dr Richard Q Agnew reviews the second edition of Bernard Eckey’sAdvanced Soaring Made Easy. Life-long pilot Bryce Bryce-Smith takes to the sky to celebrate his 80th birthday. Can you walk after flying?